Two University of Miami medical students examine the track marks of a patient at the IDEA Exchange, which offers free wound care and HIV screenings. Southern states are embracing harm reduction techniques, including naloxone and needle exchanges, more than ever before. But some conservatives say there’s a limit to their support. As a top agent with North Carolina’s Bureau of Investigation, Donnie Varnell had tried everything to stop people from fatally overdosing on opioids, from arresting more low-level drug users to talking with doctors. Nothing worked. In 2014, he heard a former SWAT commander speak to law enforcement officers about carrying the opioid antidote naloxone. Soon Varnell was traveling the state, working with drug policy activists to convince other officers to carry the overdose-reversal drug. He also embraced syringe exchanges, using data — nearly 1 in 3 officers get stuck with a syringe during the course of their career — to persuade fellow officers to support exchanges. And he even educated police chiefs concerned about the costs and liability of naloxone and needles. Since the 1990s, activists in cities such as Chicago, San Francisco and New York have led the nation in practicing harm reduction, a set of tools such as needle exchanges and naloxone distribution designed to help people addicted to drugs make incremental improvements to their health. But in the Bible Belt, many Southerners who held conservative views often criticized harm reduction as something that encouraged — not ended — the use of drugs. Those practices, in many states, were banned outright. But attitudes have shifted, given the sheer scale of the epidemic, proof that some harm reduction efforts save lives as well as taxpayer dollars, and the changing cultural view of drug users. This shift comes at a time when Southern states, like the rest of the nation, are searching for ways to reverse the trend of rising opioid deaths. In 2014, when nearly 29,000 Americans died from opioids, no Southern state had allowed for both needle exchanges and naloxone. With the national death toll of opioid-involved drug overdoses exceeding 47,000 in 2017, every Southern state has approved giving drug users access to the antidote without a prescription, according to CVS Health. And following the lead of Kentucky and North Carolina, Georgia this month enacted a law and Florida is close to approving its own to expand the distribution of sterile syringes to help drug users avoid spreading HIV, hepatitis C and other infectious diseases. “This type of legislation hasn’t always been popular with our majority party,” said Georgia Republican state Sen. Kay Kirkpatrick, a surgeon and one of the sponsors of a needle exchange bill that recently passed. The Trump administration has increasingly embraced the use of some harm reduction techniques. Last spring U.S. Surgeon General Jerome Adams issued a rare public health advisory that urged people at risk of opioid overdose — as well as their loved ones — to carry naloxone. More recently, U.S. Health Secretary Alex Azar publicly supported syringe exchanges. However, the Department of Justice has filed a lawsuit in an effort to block a plan for a supervised consumption site in Philadelphia, which was set to be the first of its kind. Despite the progress, activists say hurdles remain throughout the region. Many Georgia school leaders have yet to stock nurses’ offices with naloxone. 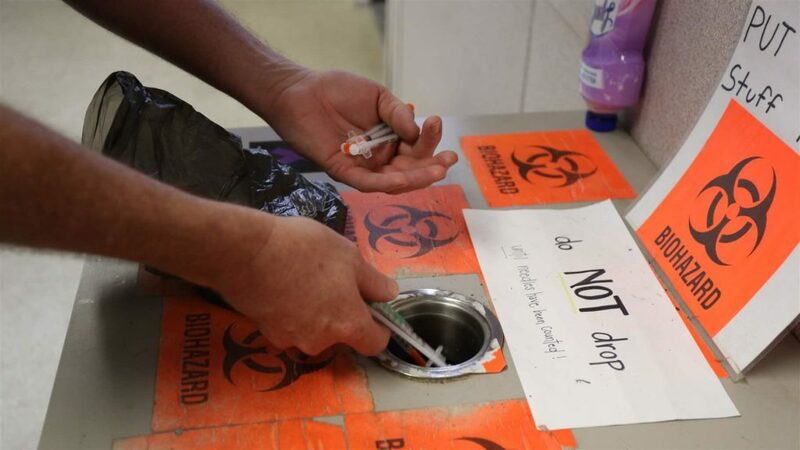 Lawmakers in Alabama and Louisiana, meanwhile, have effectively blocked recent bills to fully legalize syringe exchanges. Many states, following the Trump administration’s lead, have bristled at newer tools such as safe-consumption sites that are now being considered in some American cities. 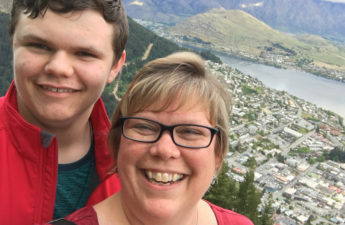 Before 2013, Tanya Smith never imagined she’d carry naloxone. But the Holly Springs, Georgia, police officer got the call every parent fears: Her 20-year-old daughter, Taylor, had been found on the side of the road after a heroin overdose. Months after Taylor’s death, a college student asked if Smith would help lobby for medical amnesty legislation to provide immunity to Georgia drug users who call 911 to report a drug overdose, as well as allow officers to carry naloxone. Smith liked the bill but doubted it would pass. The main hurdle: Members of her profession. But as more officers responded to overdose calls and saw the need for naloxone firsthand, Smith started lobbying. Within a year of Taylor’s overdose, Smith helped secure the bill’s passage. The Holly Springs Police Department became the first in the state to carry naloxone. In 2015, when the Kentucky legislature was considering allowing naloxone access without a prescription, Republican state Sen. Whitney Westerfield recalls, his colleagues feared the antidote would encourage people to keep using drugs. But fellow officials have come around, in part because they’ve seen the drug’s lifesaving potential, he said. Since 2015, when Kentucky began allowing pharmacies to sell naloxone without a prescription, drug users have been able to inject friends who have overdosed. Recently, activists across the South have handed out free naloxone everywhere from the back of a Mississippi bike shop to a North Carolina church. And a growing number of health departments in Kentucky, Alabama and Louisiana have distributed the antidote for free. Tanya Smith, for her part, has spent much of the past five years convincing other police officers to carry the drug. Thanks to her advocacy, new recruits learn about naloxone during their time in the police academy. “Naloxone is giving them [drug users] a second chance,” Smith said. Since World AIDS Day 2016, Florida drug users have gathered in a parking lot near Miami’s Overtown neighborhood. 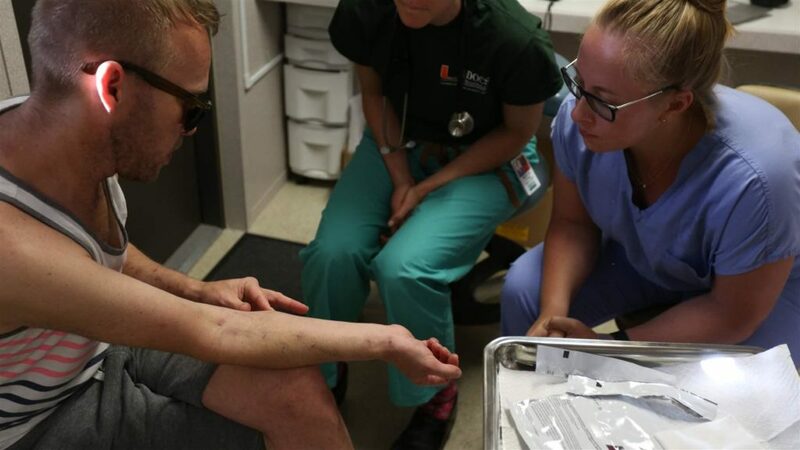 Inside three drab tan trailers, University of Miami-affiliated doctors and medical students distribute sterile syringes six days a week while also providing HIV and hepatitis C testing, wound care and naloxone. They hope to build a bond with patients in hopes of someday referring them to addiction treatment once they’re ready to quit using. The road to distributing syringes, however, hasn’t been easy in Florida. State lawmakers had banned needle exchanges until three years ago, when they allowed Miami-Dade County to be a state pilot, so long as it didn’t use taxpayer dollars. A drug user drops a series of used syringes into a wastebasket. Florida state law limits Miami’s IDEA exchange from distributing only one sterile syringe for every discarded one it collects. With the help of private donors, a team led by Dr. Hansel Tookes has since collected more than a quarter-million used syringes, reducing the number of syringes on the street by roughly half since 2009. While parts of Florida have seen opioid deaths rise, Miami-Dade’s fatal overdoses are falling, according to figures reported to the Florida Department of Health. Tookes has sent a small army of medical students to the statehouse to convince lawmakers to support a bill to allow counties to decide whether to let exchanges open. As of last week, Florida lawmakers needed just a full House vote to pass the bill. But government funding likely will be restricted. In recent months, the Trump administration’s public backing of syringe exchanges has given conservative lawmakers one more reason to support such efforts. 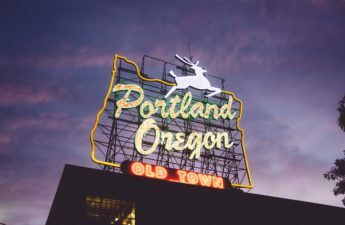 Needle exchanges can both reduce the spread of transmittable disease and save government agencies more than $7 for every dollar spent, according to the Centers for Disease Control and Prevention. Despite the federal government’s backing, a 2018 national survey conducted by Johns Hopkins researchers found that only 39% of respondents supported needle exchanges. For signs of that opposition, look no further than Alabama and Louisiana. During a debate last year that stalled a syringe exchange bill, Republican state Sen. Larry Stutts argued that providing syringes wouldn’t make drug use safer. Louisiana Democratic state Rep. Ted James said a similar bill stalled there last year because of his colleagues’ tendency to “legislate from a position of fear.” He wants to try again next year, emphasizing the fiscal benefits of syringe exchange. Kentucky’s Westerfield, for his part, still thinks some of his colleagues are uneasy about the existence of nearly two dozen syringe exchanges in the state. But he’s still hopeful that the results will mirror that of the CDC’s research, which shows that injection drug users who have access to syringe exchanges are five times more likely to get treatment than those who don’t. Georgia Republican state Rep. Houston Gaines thinks naloxone and needle distribution will help curb the opioid epidemic in his state. But there are limits to his harm reduction advocacy. Case in point: Safe injection sites. In cities like San Francisco, many lawmakers say that such facilities would let drug users inject drugs under the supervision of medical staff, which would reduce fatal overdoses. However, Southern harm reduction activists are divided. Bertin fears the image of a building full of drug users injecting heroin might scare conservative lawmakers from supporting any kind of harm reduction tactic. Varnell, for his part, sees it as a “non-starter” with law enforcement in North Carolina. Stateline is an initiative of The Pew Charitable Trusts that provides daily reporting and analysis on trends in state policy. Since its founding in 1998, Stateline has maintained a commitment to the highest standards of non-partisanship, objectivity, and integrity. Its team of veteran journalists combines original reporting with a roundup of the latest news from sources around the country. Stateline focuses on four topics that are key to state policy: fiscal and economic issues, health care, demographics, and the business of government.